Do you know a kid obsessed with super heroes and graphic novels? Our Comic Book Kit is perfect for them! 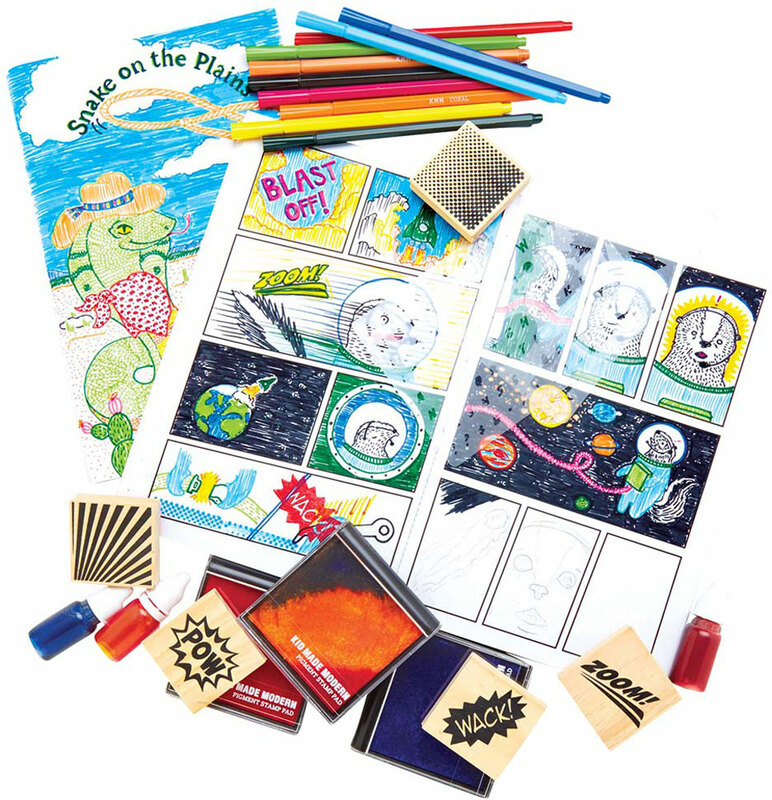 Inspire your child to create their very own comic adventures. Using this kit, they can make two 32-page comics complete with stamped graphics and their very own illustrations. This set includes everything you need to add professional-looking graphics to your comic book creation. 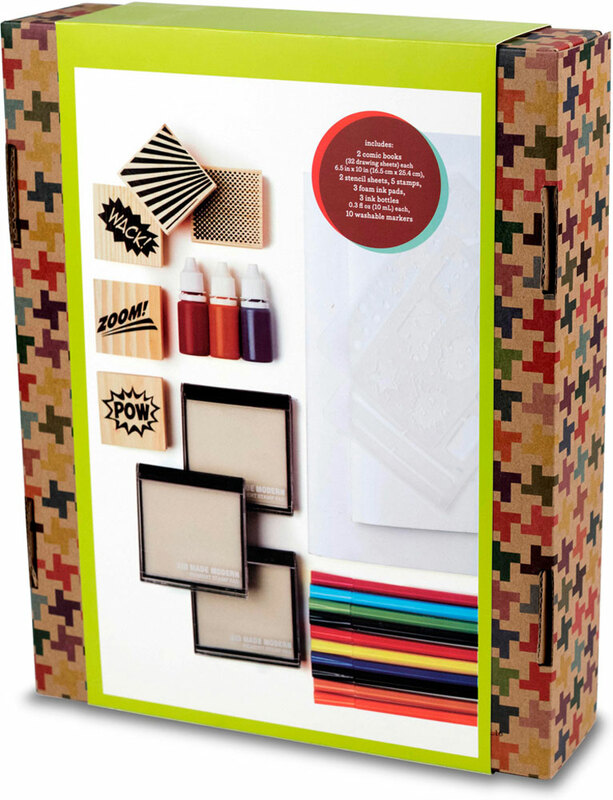 Plus, you can customize the colors using the ink included, or even make a rainbow stamp pad. When you're taking a break from illustrating your next epic adventure, you can store everything neatly in the reusable storage box that comes with our Comic Book Kit. 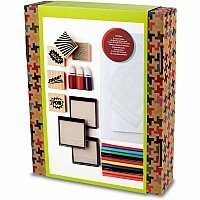 Makes a great gift for boys and girls of all ages! Founded in 2012 by Todd Oldham, we have brought hundreds of products to market, each crafted by our designers to help kids connect to their own inventiveness. Our products couple innovative design with high quality, environmentally friendly and rigorously safety-tested materials. Come join us in the fun, and go make stuff! Measures approximately: 2.60 x 9.40 x 11.80 inches..